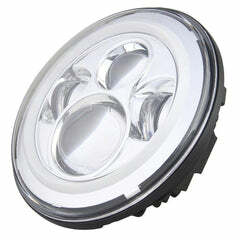 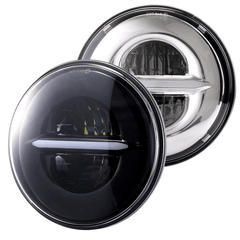 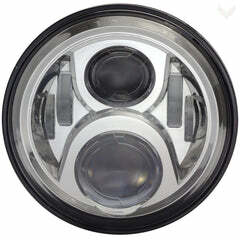 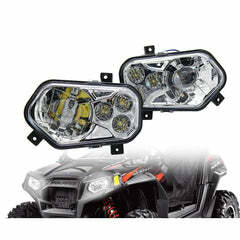 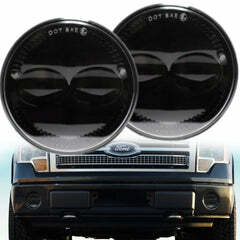 Check out our new Generation III 7" LED Headlights. 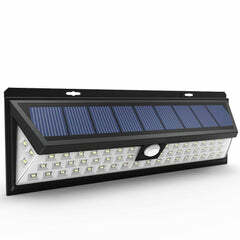 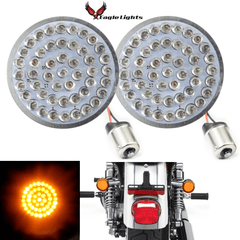 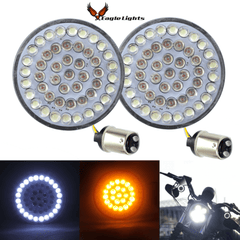 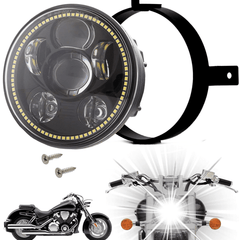 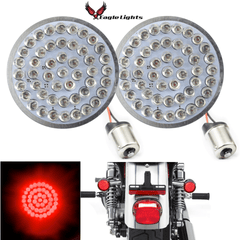 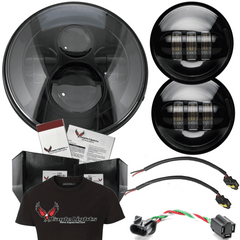 Huge lumen output, easy plug and play installation*, and the renown Eagle Lights warranty. 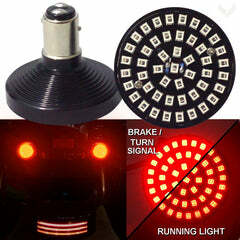 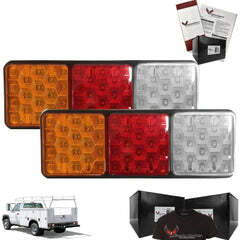 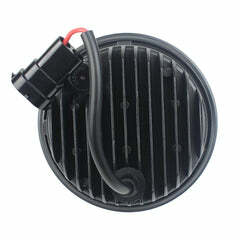 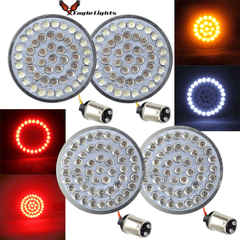 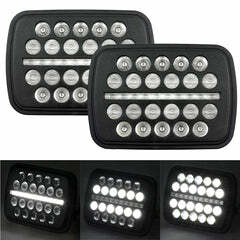 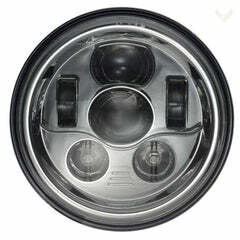 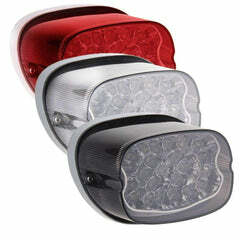 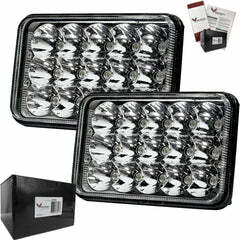 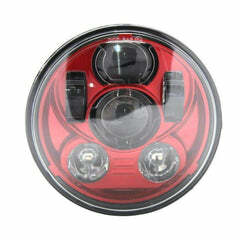 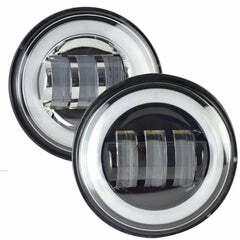 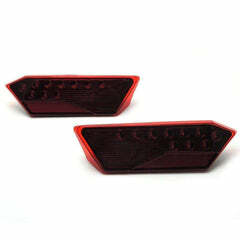 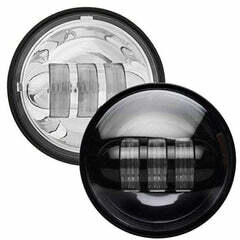 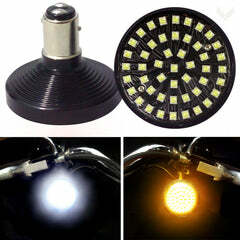 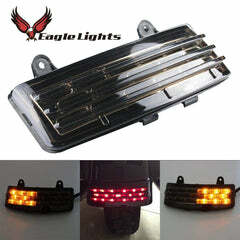 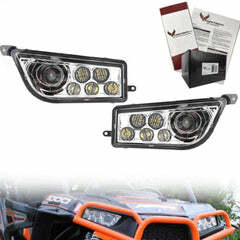 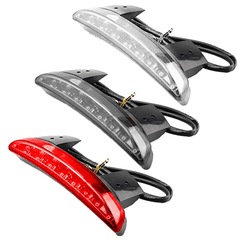 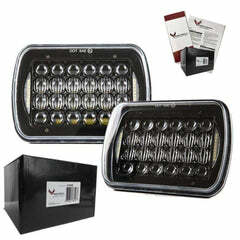 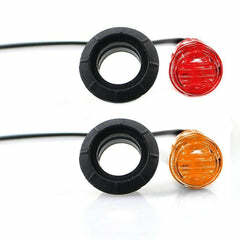 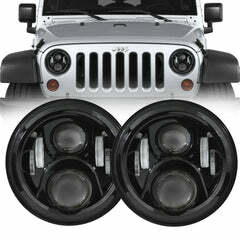 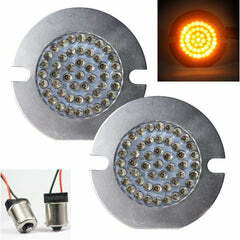 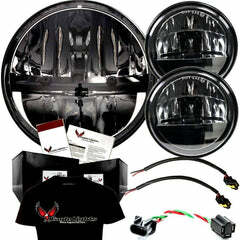 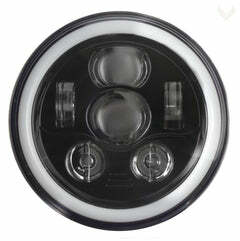 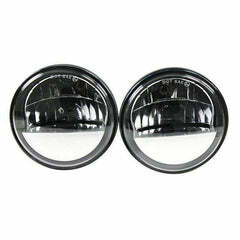 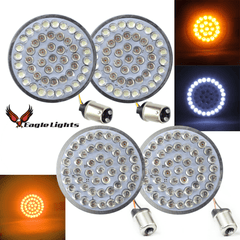 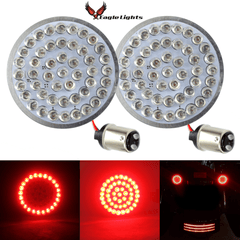 Brand new DOT approved LED lights for your Jeep! 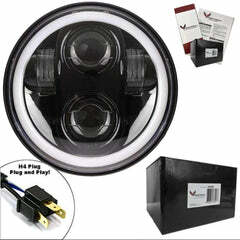 PLUG N' PLAY - Ready to use out of the box! 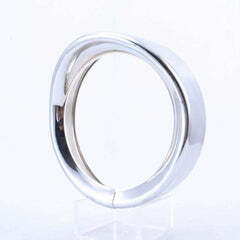 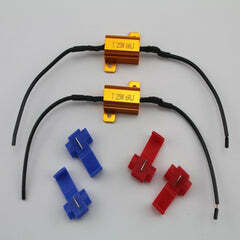 No splicing, no wiring, no capacitors, just ready to use. 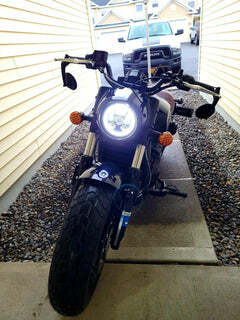 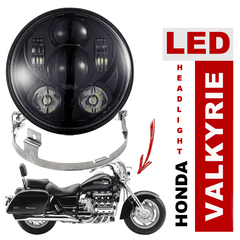 We build everything needed inside the headlight so you don't have to wire it. 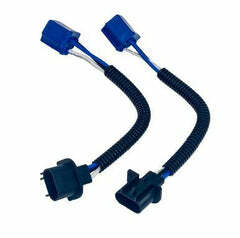 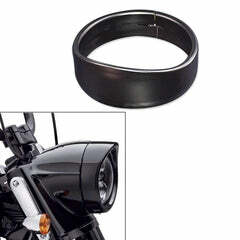 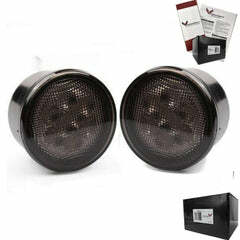 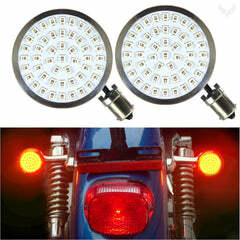 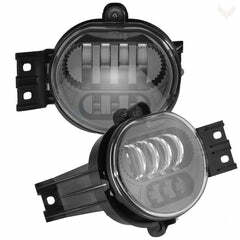 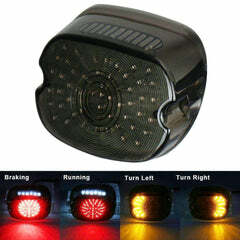 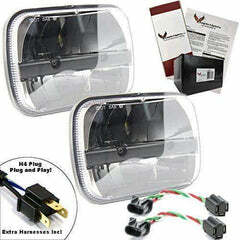 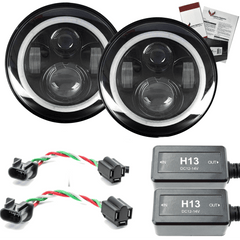 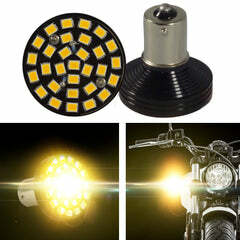 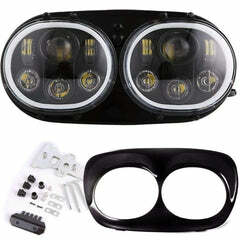 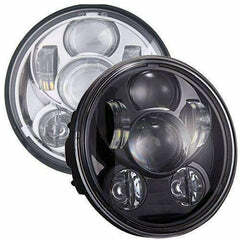 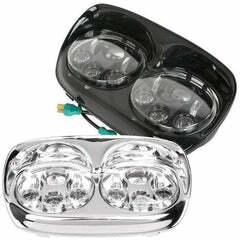 Comes with the standard H4 connection and does high and low beam, all in one headlight. 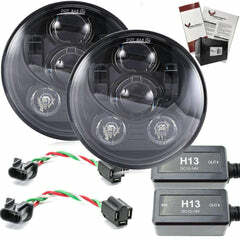 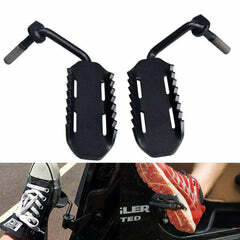 Comes with H4-H13 harness for Jeeps. 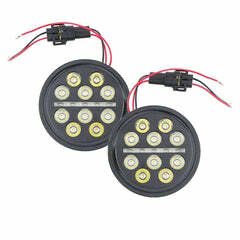 Also comes with anti-flicker harnesses. 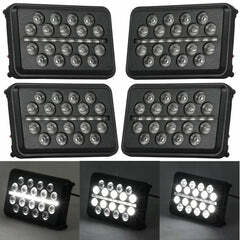 GENERATION III DIFFERENCE - 33% more light, wider field of light. 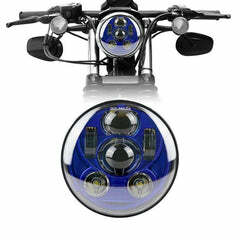 Same master-crafted construction from the Generation II. 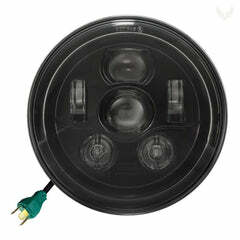 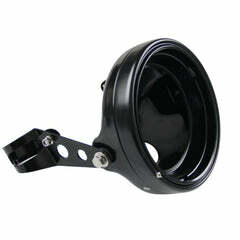 Fits all 7" buckets with no wiring adapters or adapter rings. 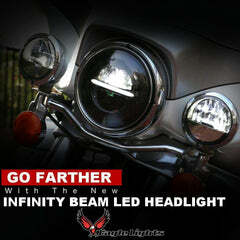 LOTS OF POWER, LOTS OF LIGHT - At over 3800 Lumens, there is nowhere you can't go. 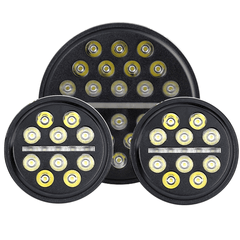 With a wide angle of projection and a color temperature just north of 6000K, the road will be bright, easily visible and safe. 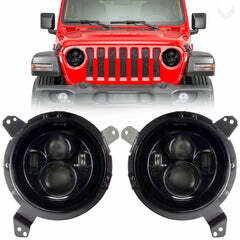 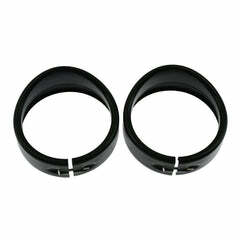 Yes, they will fit your 1981 CJ5. 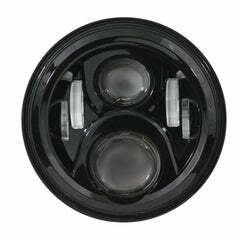 You will need to trim the inner bucket to make clearance for the light. 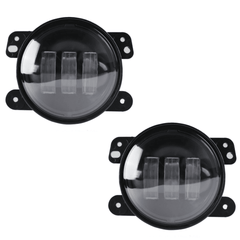 Do these lights fit a 2018 wrangler JL? 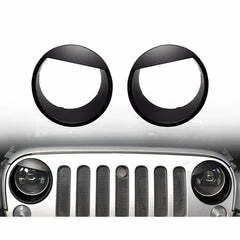 Yes, this will fit your Wrangler JK. 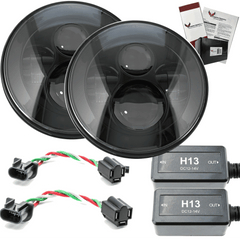 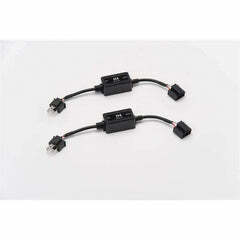 It comes with the anti-flicker harnesses and H4-H13 adapters you will need.